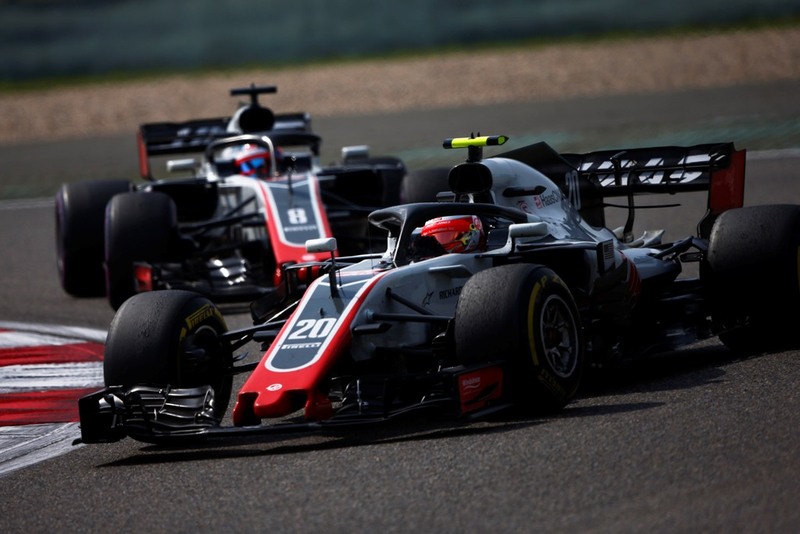 Haas F1 Team earned its second straight point-paying result as Kevin Magnussen drove to a 10th place finish in the Chinese Grand prix. His teammate Romain Grosjean finished 17th. It increased its margin over eighth-place Sauber to nine points while cutting the deficit to sixth-place Toro Rosso to just one point. “I just got unlucky with the safety car. Our strategy was paying off, to begin with, but then we got the safety car at a bad time. We didn’t get the advantage out of the strategy that we would’ve had otherwise. I don’t know if we should’ve pitted. It was a tough choice. I just think the safety car came at a very unlucky time and it meant we couldn’t score more than the one point. That’s still okay, but we had hoped for a bit more. It’s a long season and, hopefully, we’ll keep scoring points. I’m proud of how we’re performing as a team. We need to keep that up”, Magnussen said. “We made a ballsy strategy going on the ultrasofts to mediums. Unfortunately, the misfortune kept going with me because I knew from the safety car in the middle of the race – when I was on the very long stint on the medium – we were not going to pit. I knew it would be very difficult at the restart, and it was. I tried to hang on to P11 as long as I could but, eventually, the two Force Indias passed me. We came in for another set of ultrasofts for the last 10 laps. They were encouraging as there was very low degradation, and the car felt really good. I knew things were going to be very difficult at the safety car, though”, he commented. “The safety car destroyed our race, obviously. I think we were on the way to be seventh with Kevin, and eighth or ninth with Romain. The Renaults got a free pit stop and, therefore, we ended up where we were. We couldn’t get the tires back up to temperature after the safety car. Kevin fought hard to finish 10th, and Romain just had to change tires again as we couldn’t get any temperature into them anymore. It was a tough end to the race but, again, we showed that we can fight in the positions that we fought in from the last two races. I think in some places we can be best of the rest. We go with a positive attitude to Baku and try to do there what we haven’t done over the first three races”, Steiner explained.